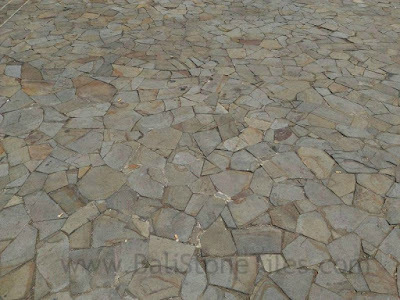 Slate Stone Indonesia (Flagstone Indonesia) has special characteristic from other Natural Stone Indonesia. 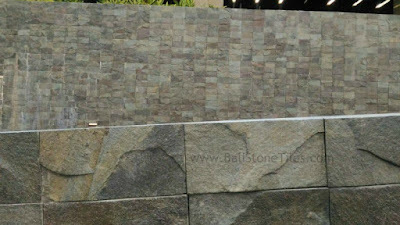 Slate Stone Indonesia has Random Thickness. 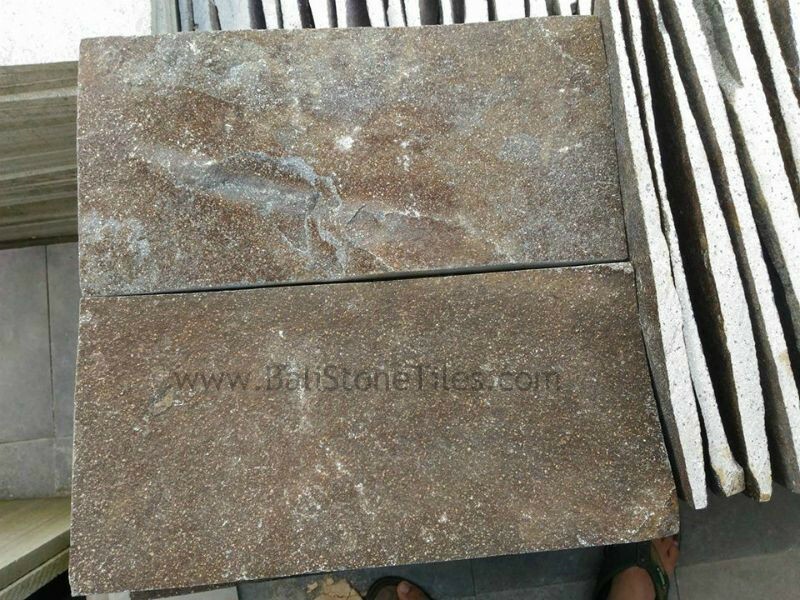 But the different Thickness of Brown Slate Stone Indonesia is not very thick because the thickness just around 1 - 4 cm. 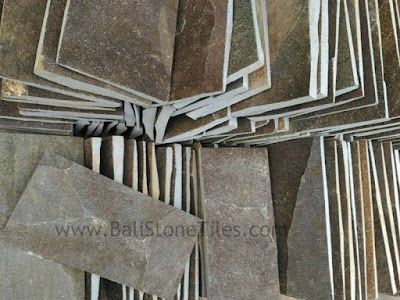 The different Thickness is one Unique from Slate Stone Tile Indonesia and also not need more Cutting for the thickness. Furthermore, Brown Slate Stone Tiles also has Unique Natural Face Color and Natural Rough Face. With Natural Color and Natural Face, we will get Amazing Natural view for All Building. 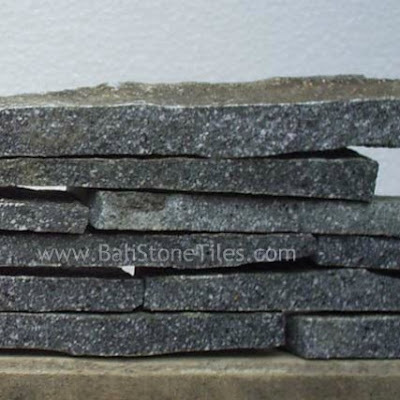 Commonly Slate Stone tiles Applied to Wall or Paving. Brown Slate Stone Tiles has density and hardness likes Andesite Stone Tiles. Before we install Slate Stone to Wall or Pacing, we need choose the amazing finishing of Slate stone Tiles with Consideration with Our Design. With Great Finishing, we will get infinity Application corresponding with our design. 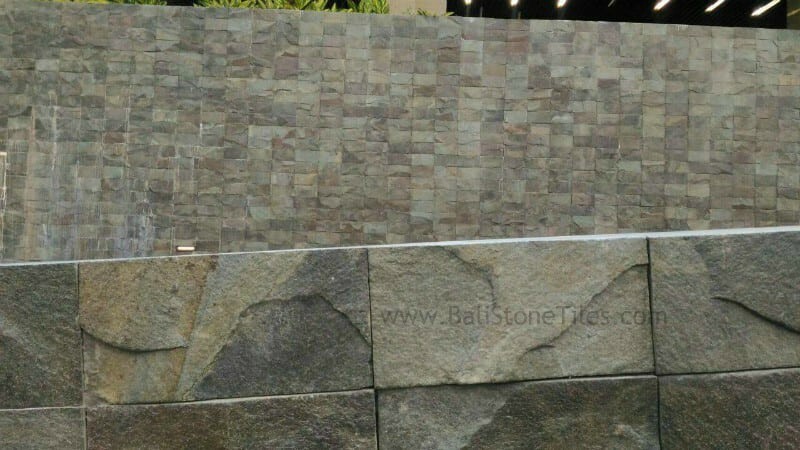 We can Finishing Slate Stone Indonesia with Cut To Size, Random Size, Thickness paste to wall and Random Irregular Finishing. There some detail Finishing For Slate Stone Tiles Indonesia. First Slate Stone Tiles Indonesia with Cut to size. Cut to size Slate Stone will make us Stone get single size of Slate stone Indonesia like 5x10 cm, 10x10 cm, 20x20 cm, 15x15 cm, 10x20 cm, 10x15 cm, 25x25 cm, etc. That size is Standard size, If want other side please not hesitated to contact us. For Random size of Slate Stone Indonesia, you can choose Random Size finishing. 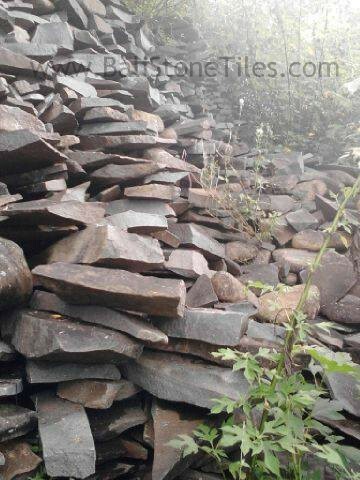 Our cut to size Slate Stacked Stone Indonesia has Amazing face because it has random thickness and unique Rough Face like Nature Stone. Furthermore, Random Size finishing for Slate Flagstone Indonesia will made your Wall or Floor has amazing Random size of Natural Slate Stone. 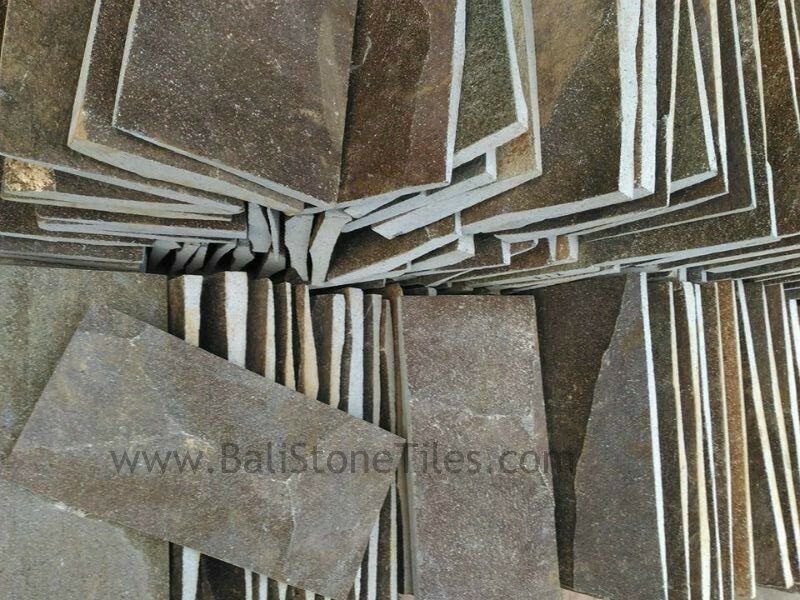 Random Size Finishing give many different size of Brown Flagstone Tiles Indonesia like combination size of 5x10 cm, 10x10 cm, 20x20 cm, 15x15 cm, 10x20 cm, 10x15 cm, 25x25 cm, etc. It made our Brown Slate Flagstone has elegant and Natural view with different size of Slate stone Tiles. 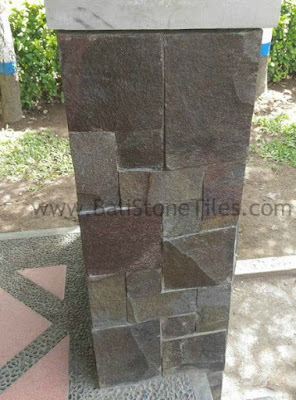 Next, Brown Slate Stone Indonesia with thin size to using the Thickness paste to Wall. 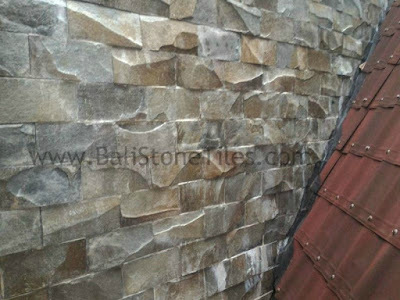 With this Finishing we will get thin size of Brown Slate Stacked Stone Indonesia and can using the Natural thickness from Brown Flagstone Slate Stone Indonesia to applied for wall. 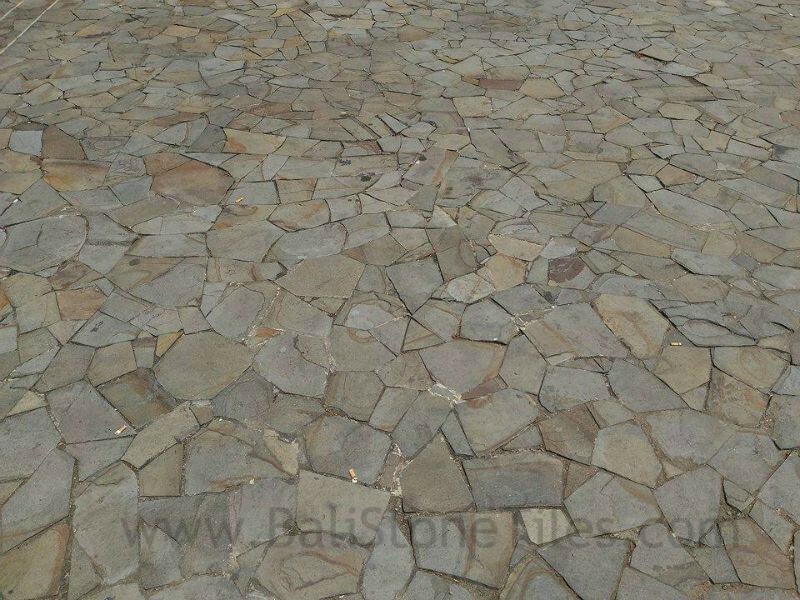 This application will made us get Amazing Natural Special Mosaic Slate Stone Tiles. 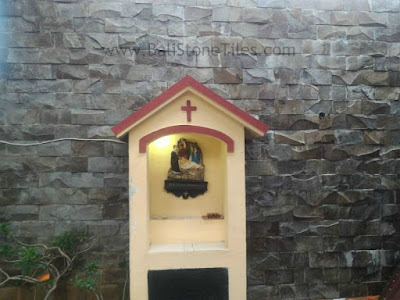 In above picture we can saw the Wall has different Natural Thickness of Slate Stone Indonesia. 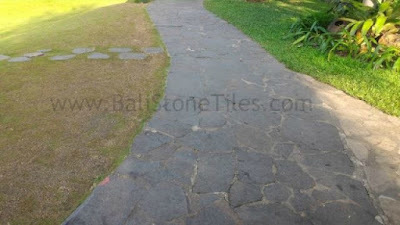 Last Finishing, Random Irregular Finishing to get Natural Random Irregular Size of Slate stone Indonesia. Random Irregular will has finishing like Nature Slate Stone Size. For install it need more professional skill, But we make it with Pattern to make more easy for Installation. This random Finishing looks very amazing and Infinity because it combination of Random Irregular Size and Natural Thickness of Slate Stone Indonesia. 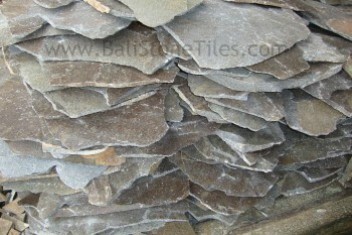 Slate Stone Tiles can Applied to wall, Paving, Floor and Stairs. This Slate Stone will make Our building has Natural Stone Tiles Condition. In below we can Look Some Amazing Templek Slate Stone Tiles Indonesia.